Marcello Di Lisa completed a PhD in Philology and Greek and Latin Literature at the University of Pisa, and collaborated with major journals in the field of ancient philosophy. After studying harpsichord and composition, he founded Concerto de’ Cavalieri which, under his direction, has rapidly come to be recognised as one of the most interesting period instrument orchestras. 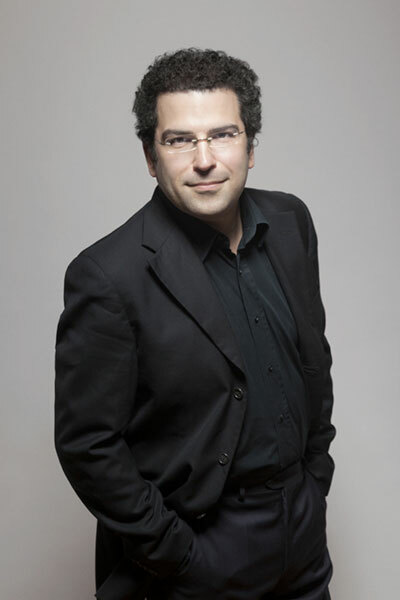 Marcello Di Lisa has appeared in concert seasons and festivals, such as Concertgebouw Amsterdam, Musikverein in Vienna, Auditorio Nacional in Madrid, Arsenal de Metz, Elbphilharmonie Hamburg, Philharmonie Essen, Centro Cultural de Belém in Lisbon, Rheingau Festival, Musikfest Bremen, Festival d’Ambronay, Festival de Radio France, and collaborated with soloists like Daniela Barcellona, Vivica Genaux, Vesselina Kasarova, Ann Hallenberg, Kristina Hammarström, Ana Quintans, Maurice Steger. Actively dedicated to the rediscovery of forgotten works from the Italian Baroque, he has premiered several operas and serenatas, including Alessandro Scarlatti’s Erminia - recorded by Deutschlandfunk - Nicola Porpora’s La Iole and the Vivaldi opera Tito Manlio (1720 Rome version), which was broadcast live by Radio France and filmed by Mezzo. Marcello Di Lisa has planned and carried out numerous recordings for Sony to critical acclaim. In the field of musicological research, he is engaged in study of the late 17th and 18th century Roman musical heritage, with particular attention to the unpublished works of Alessandro Scarlatti.